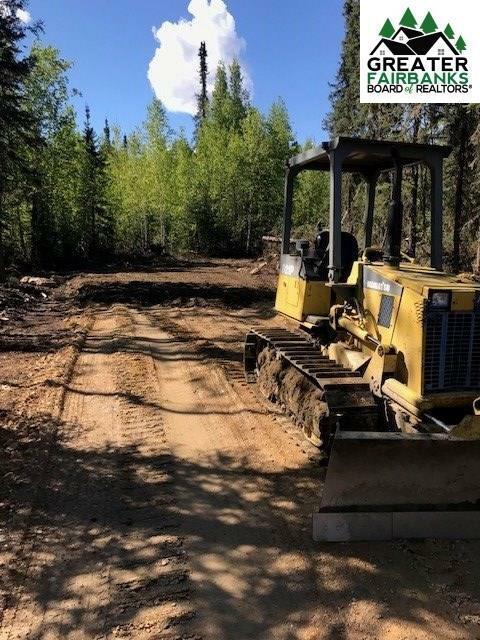 Don't miss out on this build ready property!!! 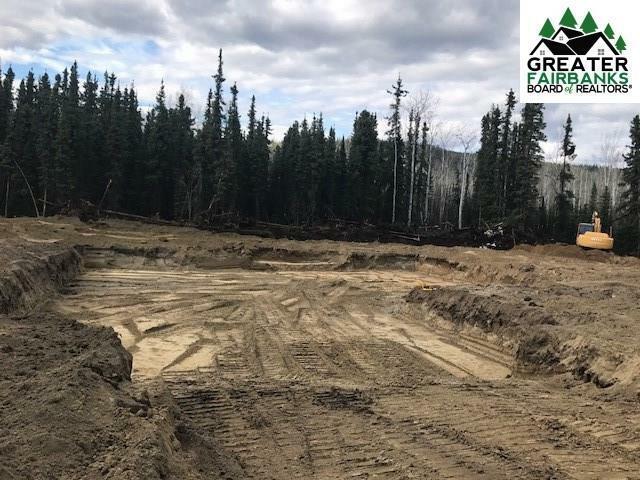 Very quiet, private and unrestricted 10 acres of land available in Two Rivers, 300 ft driveway in and excavation of home site complete! Ready to drop the current floor plan in, or with a few tweaks your floor plan! Very flat, great drainage. Chena Hot Springs mushing trail access. Can access property/building site from both Snow Leopard and Kauffman; developed driveway comes off of Snow Leopard. Neighboring wells are all around 40-80 ft deep. Quiet and friendly area bordering the Horseshoe Downs subdivision. Two Rivers Elementary (K-8) and NP High School school district. Post Office, General Store, Gas, Community Center 5 minutes down the road. Lots of Birch, Aspen, and Spruce. Near Chena Hot Springs where there is incredible hunting, fishing, hiking and other Rec areas used by and for the avid outdoor-est!! 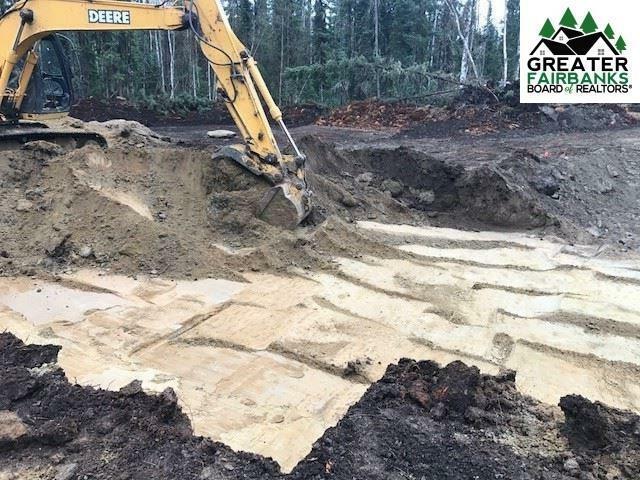 Developments include: Driveway - approximately 300' of driveway and 1 cul de sac has been put in using geotextile underpayment. Base is 4" of shist, plus 4-6" of 2" minus. Suggest not to go with finer rock until construction process of home is completed. 350' power access easement/driveway dozed for future access from Kauffman Rd, currently can use it for access with a halfway decent pickup. Home - Excevation of the floor plan pictured has been completed. Setup for 4' of gravel compactions in 6-12" phases to retain a slab on grade hydronic heated foundation. Floor plan is approximate, excavation included a couple aprons for a front and back patio. 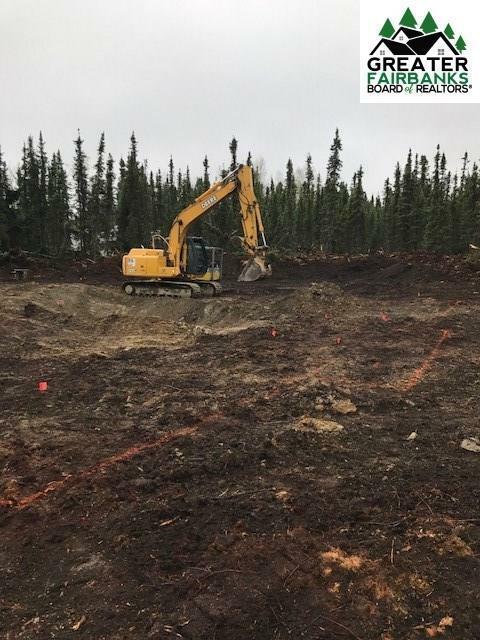 Three deep (14') exploratory pits dug around building site, no permafrost found. Two pits designed to be connected by trench for future septic. Third pit to be used to burn clearing debris. Power Pole - Had GVEA come in last spring with a single 40' pole, transformer, and 100' of line to connect to house when built. Span is approximately 300' This property has loads of potential!! Don't let it pass you by!